Yesterday I created some discussion on my blog’s Facebook Page about the #putyourdressout movement – where women around Australia got out their wedding dresses, took a photo of it and posted in on social media, with the above hashtag – to honour Stephanie Scott on the day she would have been married. Stephanie was horrifically murdered six days earlier. I’m always trying to teach my daughters – especially the one that just entered high school – to think about the core reason for doing anything – mainly due to her recent small engagement with the online world. I tell her that that’s what drives action and that even though her actions may change as she gets older, the core reason behind them, may stay the same. It’s an important thing for all of us to identify, I think. Yesterday, when I saw the first few wedding dresses pop up on Facebook, I thought about taking out mine but then questioned the action when it didn’t sit right with me. I believe it’s a very well meaning and touching tribute (organised by her friends, so I’ve been told), but after 28 women having been murdered by male violence before her – I felt like I needed to show my respect for her differently. Plus, to be honest, I couldn’t imagine the family perusing through the wedding dresses of others and gaining comfort from them. I may completely wrong here but it’s what stopped me from doing it and think it’s an equally caring action. 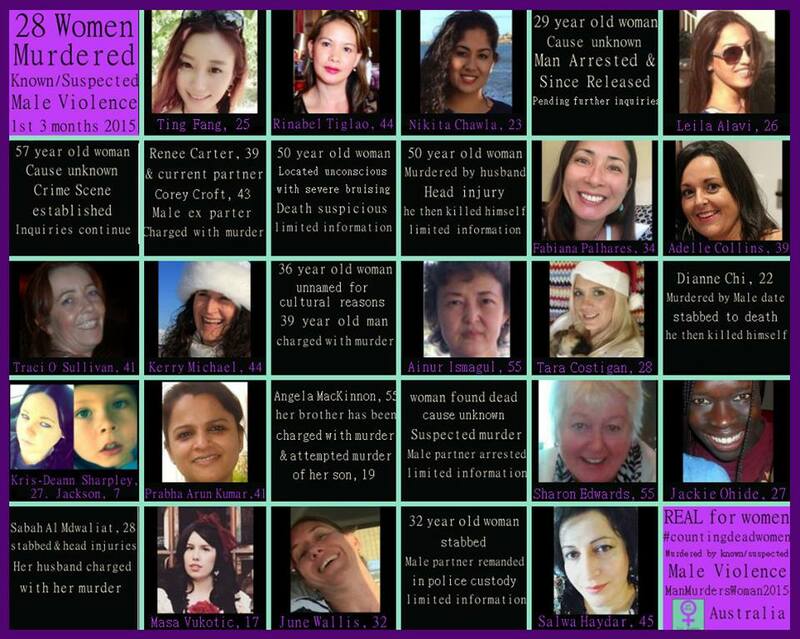 #OneEveryThreeDays #StephanieScott Victim 29 in 2015 #MVAW #HowManyMore? #auspol #putoutyourdress #teacher Sending strength + love. My post was never one to put this movement down but truly question what the drive was for the action. I won’t go into detail about the responses I received, as most mainly explained the sentiment – which I reiterate, I understand – but others wrote it’s to create awareness. This is where it hit the wall for me. Awareness? As a good friend of mine said to me – Awareness we have –> the rate of female deaths from male violence has gone up from one per week – to #OneEveryThreeDays…from one year to the next; a little more than double! A few weeks ago I started that hashtag to attach all the stories containing Male Violence Against Women; which is at epidemic proportions. Another one started online was, #MysteryIsMisogyny, a category Stephanie’s murderer falls under – the ‘he was such a quiet man’ or ‘it’s a mystery why he did this’ blanket. These hashtags could actually create more awareness, but sadly, they won’t be as popular as #putoutyourdress, though. And there’s the conundrum for me. It’s action we need. As I was pondering this, I read a piece written by my good friend Lily Munroe from REAL for Women titled: While men decide what they stand for; we women must be warriors. Bam! 1. Are women collectively being warriors about the situation we’re finding ourselves in? 2. Women also need to decide what they stand for. Well, I stand for a society that finds the spike in male violence against women – against ANYONE – abhorrent and I’m sure most of you do too. The dresses are up and they gave needed comfort to many. But that was yesterday. 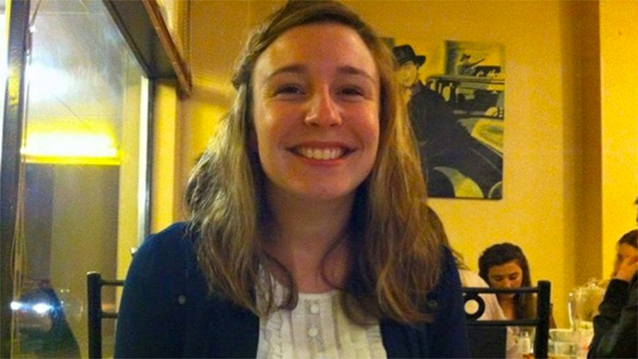 Wouldn’t it be a sight if every person who found this murder – and the 28 before Stephanie’s – an insufferable blight on our psyche and safety, marched in every major city demanding a tightening of laws? Check the #OneEveryThreeDays hashtag and see how many men of position charged with sexual assault, have walked free on bail recently in Australia. Legislation was changed due one man’s death due to a King Hit – ads telling guys not to engage violently with other men – but only the sound of crickets is heard on the news and in our timelines about our shameful tally of female deaths. Look around at what wallpapers our lives and stories; females (girls and women) demeaned as mere sexual objects, whilst males are hailed as heroic through their hyper-masculine toughness. When females are deemed, through representation, as less worthy and merely objects – violence and murder becomes easy (and even condoned to an extent) by the silent society that lets it all slide. May she – may they all – Rest in Peace. PS Up for a kick-arse march? Let’s fill the streets like they do overseas when a few people are killed by terrorism. THIS is terrorism – by our own.